Despite the several advantages commonly attributed to social networks such as easiness and immediacy to communicate with acquaintances and friends, significant privacy threats provoked by unexperienced or even irresponsible users recklessly publishing sensitive material are also noticeable. Yet, a different, but equally significant privacy risk might arise from social networks profiling the online activity of their users based on the timestamp of the interactions between the former and the latter. In order to thwart this last type of commonly neglected attacks, this paper proposes an optimized deferral mechanism for messages in online social networks. 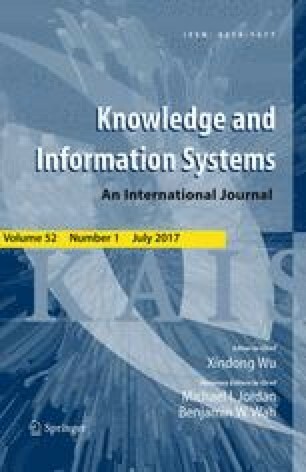 Such solution suggests intelligently delaying certain messages posted by end users in social networks in a way that the observed online activity profile generated by the attacker does not reveal any time-based sensitive information, while preserving the usability of the system. Experimental results as well as a proposed architecture implementing this approach demonstrate the suitability and feasibility of our mechanism. We would like to express our gratitude to Silvia Puglisi for retrieving the Twitter data set used in the experimental section. This work was partly supported by the Spanish Government through projects Consolider Ingenio 2010 CSD2007-00004 “ARES,” TEC2010-20572-C02-02 “Consequence” and by the Government of Catalonia under Grant 2009 SGR 1362. J. Parra-Arnau is the recipient of a Juan de la Cierva postdoctoral fellowship, FJCI-2014-19703, from the Spanish Ministry of Economy and Competitiveness.